Send an elegant birthday wish with a delicious twist. 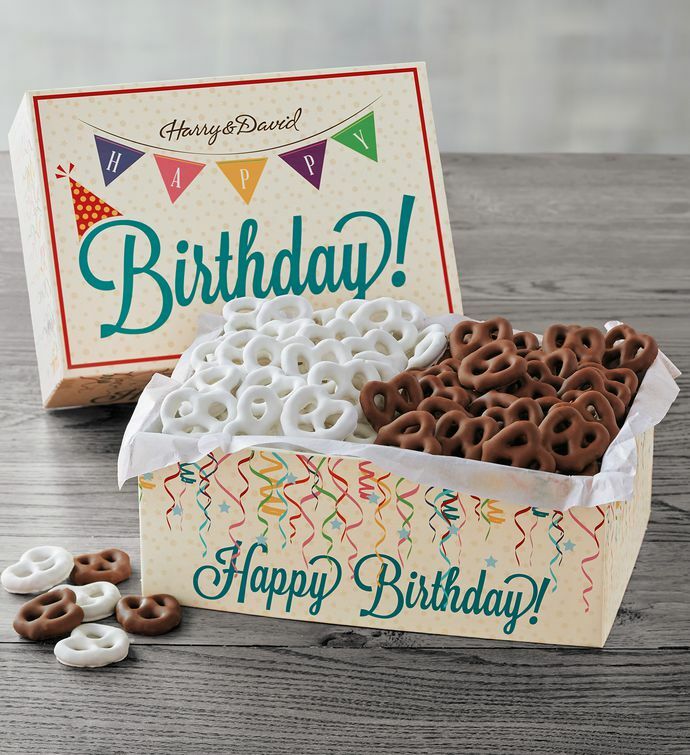 This festive gift features salty pretzels enrobed in our proprietary blend of premium milk chocolate, as well as mouthwatering yogurt pretzels. Presented in an exclusive box touting "Happy Birthday" in bright, vibrant colors, this is one birthday surprise that goes fast and leaves a lasting impression.